She is looking for her brothers. 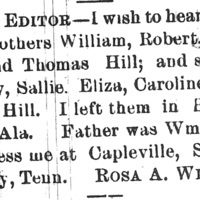 ville, Ala. Father was Wm. Hill. county, Tenn. ROSA A. WILCOX. 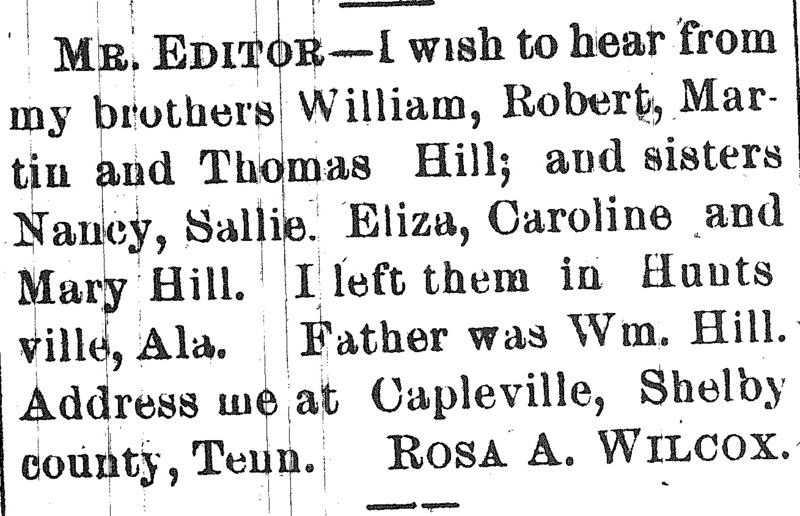 susanwmarks, “Rosa A. Wilcox,” , The Southwestern Christian Advocate (New Orleans, LA), February 28, 1884, Last Seen: Finding Family After Slavery, accessed April 19, 2019, http://informationwanted.org/items/show/1235.